Laser Acne and Deep Pore Purification combines a vacuum process with a broadband light to effectively clear existing acne while helping prevent future breakouts for a healthier looking complexion. Isolaz helps remove blackheads, oils, debris, reduce pore size, and improve skin tone/texture in 85% of people. How It Works-During an Isolaz treatment, a small handpiece with a vacuum gently lifts the acne impurities closer to the surface of the skin, which helps loosen and extract blackheads, dead cells, and excess oils from deep within the pores. Light energy is emitted killing surface bacteria and stunting oil productions for up to six months when a series of treatments have been administered. 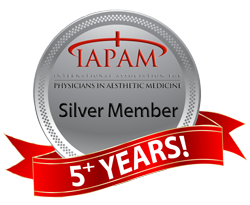 Located in Phoenix, AZ and interested in the Isolaz laser acne and deep pore purification? Contact our office to schedule an appointment.